Summary: Set in an unspecified time after 2x09: Croatoan. Sam and Dean hunt a humanoid creature that leaves people mentally compromised and barely functional. 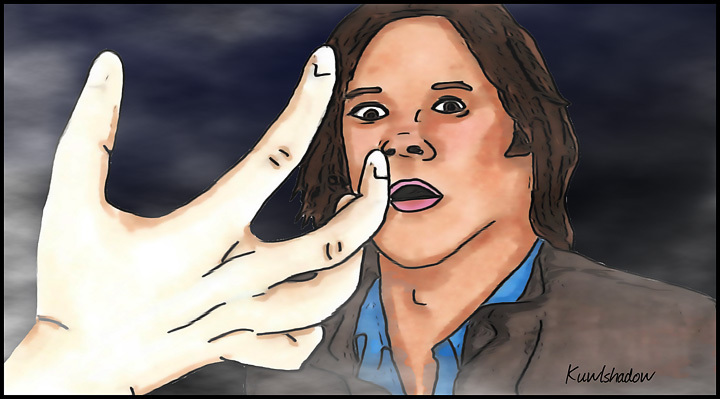 When Dean becomes a victim, Sam's left to solve the increasingly frustrating mystery of the creature's origin on his own. Artist Notes: I got to work with this talented author twice just recently. I enjoyed creating artwork for both stories. Thanks to Intotheruins for being an awesome partner and sorry it took me awhile to get the artwork done. Thanks to the mods of this challenge for this wonderful opportunity!